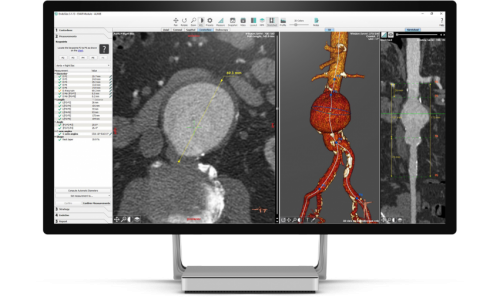 Your comprehensive solution for endovascular procedure planning. Designed to efficiently support your daily practice, EndoSize® provides a powerful toolbox for device sizing and case strategy development. For Mac and Windows computers. EndoSize comes with therapy-specific modules designed to standardize and streamline the case planning process from the aortic valve to the lower limbs. 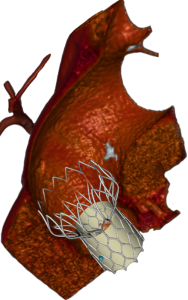 Customized for aortic (AAA, TAA, TAAA, dissections), carotid, valve, or peripheral artery diseases, EndoSize provides you with efficient modules to select the optimal treatment and to size the best fitting devices for the patient. 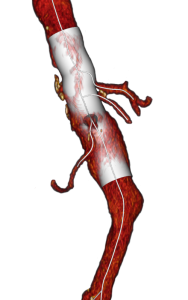 Interested in planning EVAR, TEVAR, Fenestrated/Branched EVAR (F/B-EVAR) and Peripheral stenting using the Vascular Edition of EndoSize? 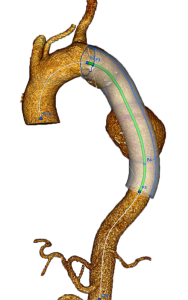 Interested in planning TAVI cases using the Valve Edition of EndoSize? 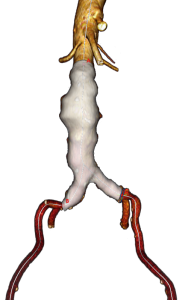 EndoSize runs on both Windows PC and Mac and is optimized to run smoothly on conventional laptops or desktops computers. EndoSize can be connected to your PACS server to retrieve a CT scan using DICOM network standards. Device sizes and references can be selected from EndoSize to complete the planning process. EndoSize offers an intuitive toolset from CT review to comprehensive planning reports generation. 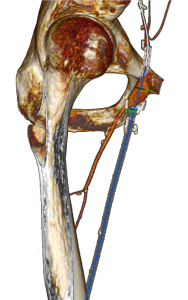 Want to make 3D planning information available during the procedures? We can create a customized solution tailored to your needs. Over the years, we have gained a strong background in developing customized modules for device manufacturers based on their device-specific requirements (specific workflow, measurements, planning report, in-patient virtual device rendering, etc…). If you have a challenging request, we’d be happy to hear from you and to make life of industry professionals easier! EndoSize received the CE mark, FDA 510(k) clearance, CFDA, Ninsho approval, and has been registered in many more countries. Currently, EndoSize is used by physicians and industry professionals in more than 40 countries. Answers to your needs. Fast. EndoSize can be installed online on virtually any Mac or Windows computer. 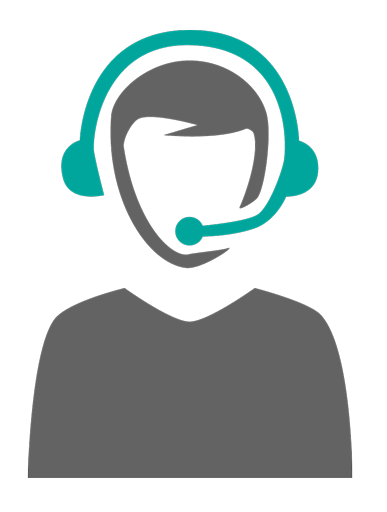 We are a team of experienced professionals committed to provide all the support and guidance needed to our customers through online assistance and sizing workshops. We improve EndoSize continuously to always provide cutting-edge tools adapted to your clinical practice. Updates are provided online automatically. 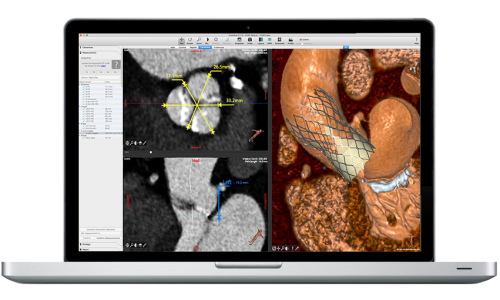 Therenva creates innovative and efficient medical software devices to help physicians and healthcare professionals perform high-quality cardiovascular procedures. Copyrights © 2017-2019 All Rights Reserved by Therenva SAS. Website meant for healthcare professionals. Updated on 20/04/2019. EndoNaut® (class IIb) and EndoSize® (class IIa) are CE marked medical devices, developed in France by Therenva SAS.